About — Sparkles and Colors usa inc.
Sparkles and Colors usa inc. 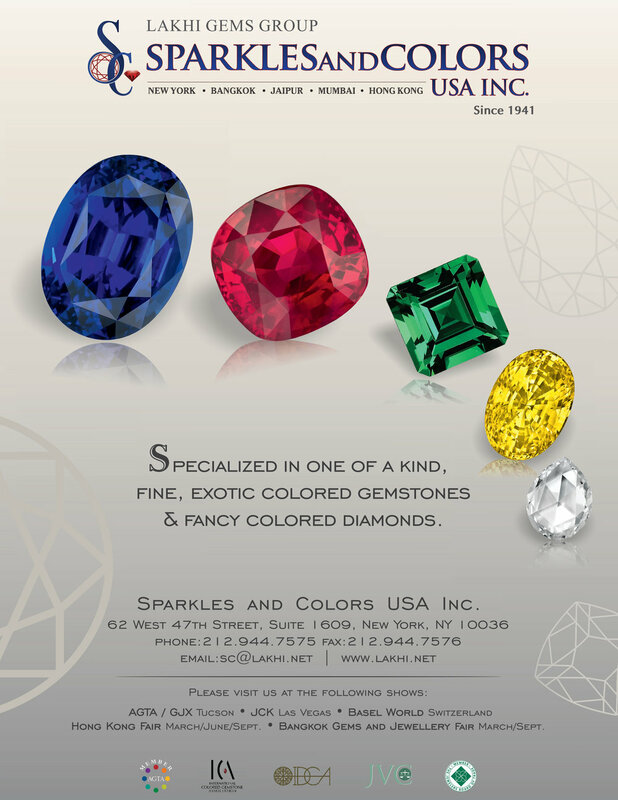 Established in 2011 as a subset of the highly regarded Lakhi Gems Group, Sparkles and Colors USA Inc. continues the Lakhi core principles of quality, service, and value within the global color gemstone and diamond market. Sparkles and Colors Inc. is known for setting standards of distinction and integrity through its exemplary business practices, providing exclusive innovative cuts and colors at competitive prices. Each year since its inception, Sparkles and Colors Inc. has been recognized by the AGTA Cutting Edge Spectrum Awards for superior cutting and niche gemstones and is a member of ICA, AGTA, JVC, JBT, NYGA, and IDCA. The Sparkles and Colors Inc. award-winning inventory contains a variety of Rubies, Emeralds, Sapphires, Semi-precious stones, Pearls, fancy color Diamonds in all shapes, cuts and sizes. In addition, an extensive selection of rare and untreated gemstones make up their collection including Kashimir Sapphires, Burmese Rubies and Sapphires, No-oiled Emeralds, exotic Rubellites, Tsavorites, Aquamarines, and Morganites.